Add the sauce with the previous meat or tofu. Then cook everything together for another 2-3 min. Serve on top of rice noodle, pasta or rice. Slice tiny veggies (threading/or julienne) i.e. Chinese cabbage, carrot, celery, mushrooms, green beans, egg plants, yam, nugget/or sweet potato, broccoli etc. Form veggies in bed shape on top of foil,lay the meat you desire to cook on top i.e. fish, prawn, chicken,pork etc. Put 1-2 tbsp of butter on top of meat, pour down Thai Princess sauce on top. Wrap the foil, start from both ends, then seal the foil on top, (make sure it completely seals. Place in oven or toaster oven. This way, the foil keeps all the juice all steamed inside. The butter helps tenderize the meat tenderly. While the oven is working, you could prepare your salad, rice, noodle or dessert. It is also fewer things to clean at the end. For the prawn, clean it first and put in the shallow bowl. Boil water then pour on top of the prawn. Soak the prawn for 1 minute with hot water. Take the prawn out from the bowl. 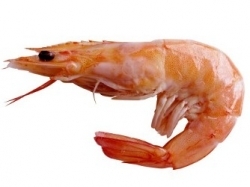 This way the prawn will never over cook and stay moist and crisp. 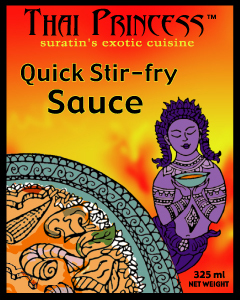 Repeat all the stir fry as above with the vegetable you like, add the curry sauce. Put the prepared prawn stir all together for another 1 minute. Then serving. If you could add cirantro or Sweet Thai basil on top when serve. it will be more fragrant, and good presentation. Cut eggplant lengthwise, then cut to 1-inch cubes. Add to boiling water, cook about 3-4 min (until soft). Take it out and cool off. 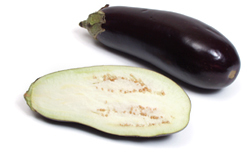 This eggplant will be ready to add with curry or any kind of sauce you desired. Melt butter, add onion and celery and cook for five minutes, add ginger and carrots. Cook on low heat for 15 minutes and stir occasionally. Add stock, bring to boil and simmer for half hour, puree with pureeing machine. Add Thai Princess red curry and coconut milk. 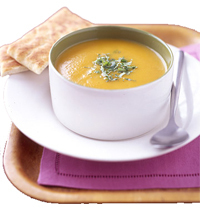 Reheat the soup to desire temperature. You can substitute squash for the carrots if you want. Heat 1 tbsp of oil at medium heat in a wok. Add the garlic and stir-fry until light brown. Add the shrimp, the tofu and keep stirring until the shrimp changes colour. Remove them and set aside. Increase the heat to the highest, add 3 tbsp of oil, wait until almost smoking. Add the dried shrimp, if using, the eggs and preserved radish, cook for 20-30 sec then add the noodles. Stir-fry all well mixed. They will stick together so stir fast and try to separate them. Add a little water or broth, more if needed. The noodles should appear soft and just slightly resilient. Then add the Pad Thai sauce, chillies, peanuts, garlic chives and bean sprouts, stirring until everything is thoroughly mixed. If the pan is very dry, add 1 more tbsp of oil. Return the cooked shrimp and the tofu to the wok. Tossing and stirring until well mixed, about 1 more minute. Remove to a platter. Garnish with raw bean spouts, cilantro, roasted peanut and a few drops of lime juice. Suggest to cook with prawns, chicken, eggplant, red pepper, mushroom. Suggest to cook with white fish ie. halibut, cod. Mussel is excellent with this one, pineapple, mushroom, red & green pepper. For eggplant, cut it lengthwise, bake for 10 min (at 350c) or until it soft. Then add the szechuan Chili sauce with green onion on top. Suggest to cook with chicken, green bean, spinach. Good as dipping sauce (steamed prawn, lettuce in vietnamese roll), for dressing canape with crackers. Suggest to cook with sliced cabbage threads, apple, pear, cucumber. It can be used as salad dressing or dipping sauce (spring roll, crispy wonton) White fish, chicken or pork are excellent with it. Suggest to cook with chicken, fish, mushroom, carrot, green bean, egg plants. Suggest to cook with steamed spinach with chicken or tofu on top. It can be used as salad dressing (with slice hard boiled eggs on top of greens) or satay dipping sauce.